The long awaited soundtrack, featuring ‘CHARIOTS’ – the track you heard in our trailer – is now available for purchase online. We are working on getting you iTunes links as well. 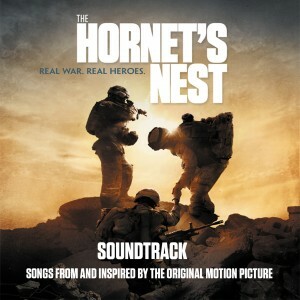 THE HORNET’S NEST MOTION PICTURE SOUNDTRACK also features the amazing track “FOLLOW ME” performed by Wynonna Judd and her husband Cactus Moser, as well inspiring performances by Politicks, Kid Rock, Keni Thomas, Pete Scobell, Mycle Wastman, Phil Vandel, and Donavon Frankenreiter. Listen to it HERE (under the SOUNDTRACK link), or you can purchase it directly from GRATITUDE ENTERTAINMENT, RIGHT HERE.